Ford will launch hybrid versions of the Transit and Transit Custom in 2019. Both the two-tonne Transit and one-tonne Transit Custom will get important updates in 2019, with lower running costs and new hybrid tech. Pricing, specs and economy figures will be finalised in the coming months, with both vans expected to be on the road by mid-2019. 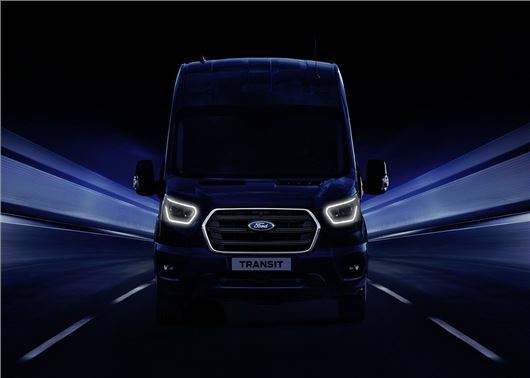 The Transit hybrid launch will coincide with the model's mid-life facelift, with the large panel van getting a new front-end design and revised interior. Under the bonnet, the Transit gets an upgraded 2.0-litre EcoBlue diesel engine and the option of a new hybrid system on manual transmission vehicles. The Transit's self-charging mild hybrid system - or mHEV, for short - will capture energy on deceleration and braking, before directing it into a lithium-ion battery pack. The captured energy will then be used to drive the engine and improve overall running costs. Ford is also putting the finishing touches to the production-ready Transit Custom PHEV. Designed for city van operators, the plug-in petrol hybrid will have an all-electric range of 31 miles and boast an outright range of over 300 miles with its 1.0-litre EcoBoost engine acting as a range extender for long journeys. The battery pack will be stored under the loadfloor, to preserve the van's cargo volume of six cubic metres. Volkswagen is also working with Ford to develop a new range of electric and hybrid commercial vehicles. In a statement that was released in the summer, the two companies said they are forming a strategic alliance to strengthen each company’s competitiveness and better serve customers globally.